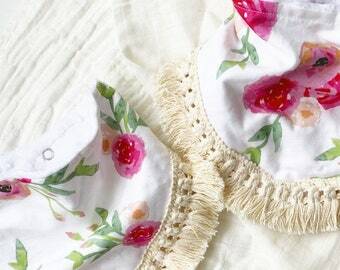 This Blush bib features soft White Minky on the back for great absorbance. 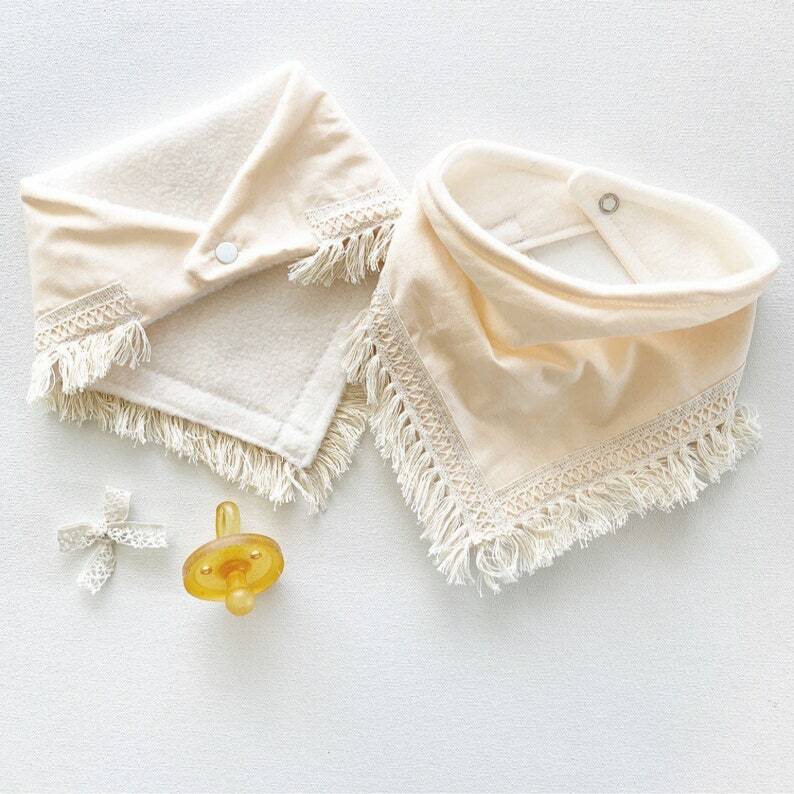 Your baby will look so stylish wearing one! They are great to have on hand in your diaper bag. And are great to wear for drooly babies! The bib attaches with a snap.